Team proceed to the final, where lost closely in the extra-end. 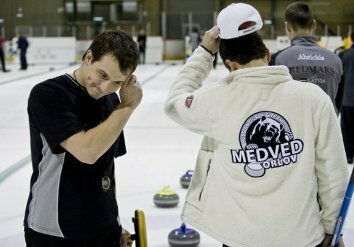 Team MEDVED took bronze at the biggest curling bonspiel in Russia. Second win in a row? Why not!? Five Bonspiels - Three Medals! Medved's are in flames! Team Medved is still in a good shape after winning bronze at MedExpert Curling Cup 2015. Team Medved go hunting - five of us! © 2010 TeamMedved.com All rights reserved.